Buy Online Now! 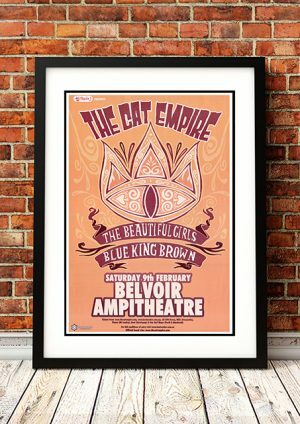 - Cat Empire Rock Concert Posters and Memorabilia. 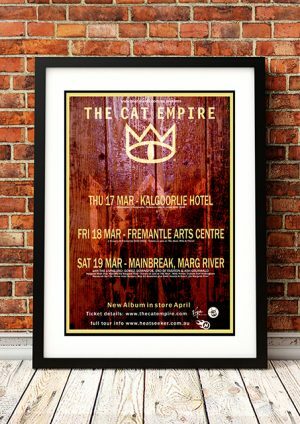 The Cat Empire’s origins are traced back to Jazz Cat, a Melbourne-based band in 1999. Jazz Cat was a nine-piece group from different schools and backgrounds which debuted at the Manly Jazz Festival in Sydney. 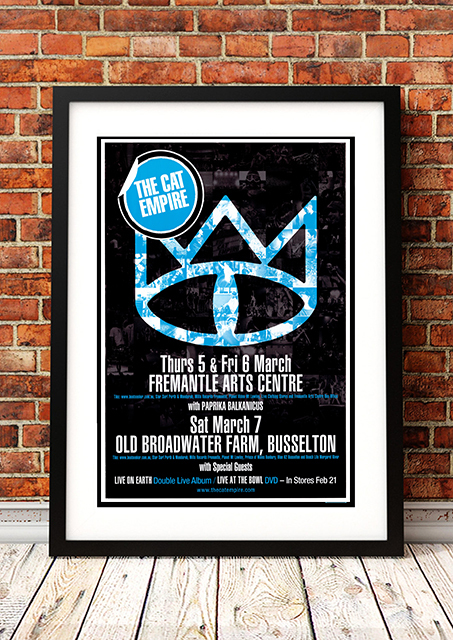 Jazz Cat spawned The Cat Empire. Their sound is a fusion of jazz, ska, funk, indie and rock with heavy Latin influences. 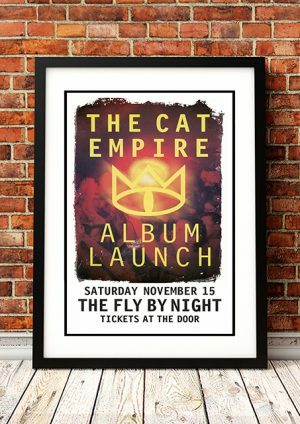 The Cat Empire released their debut album in October 2003 and by March 2005 it went double platinum. 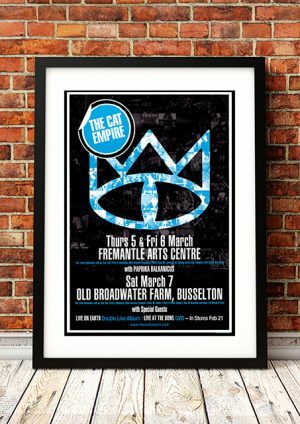 We stock some really cool Cat Empire band concert posters.